The American Academy of Pediatric Dentistry, the American Academy of Pediatrics, and the American Dental Association recommend that your child’s first pediatric dental visit should be scheduled once the first tooth erupts or by age one. At your child’s first dental visit, your pediatric dentist will perform a comprehensive exam to ensure your little one’s teeth are erupting properly. Your dentist will also review important oral health and diet practices that will minimize caries development. After your initial visit, your little one should continue to see the dentist every six months. One of the most common questions we get is, “Why are baby teeth important? They are going to fall out anyway.” Primary teeth are vital for your child’s overall health and play an important role in facial growth and development. They also act as natural space maintainers and guide the eruption of the adult teeth. 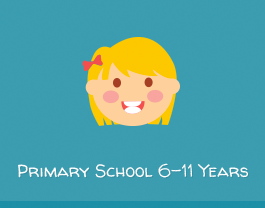 Decay in primary teeth can cause pain, swelling, infection and early loss of primary teeth. When will my child’s teeth begin to grow in? Teeth development in general begins before birth for baby teeth and at around birth for permanent teeth. Typically, the lower front teeth will begin to erupt at approximately 6 months on average. 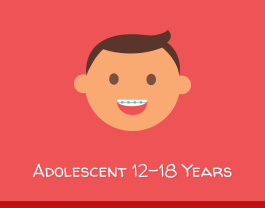 The permanent teeth typically erupt at age 6 with the lower front teeth and the adult molars and will end at around age 12. Teething occurs when the baby teeth begin to grow in. While this is relatively problem-free for most children, others may experience some discomfort. We recommend frozen wash cloths, frozen teething rings and if needed some Tylenol or Motrin to provide comfort through this process. You may notice a drop in appetite, but it’s important to ensure that your little one is well hydrated. It is always wise to contact your dentist or health professional if you have additional questions or concerns about teething. How can I clean my little one’s teeth? For infants, you can use a washcloth and water to clean the teeth, but once the back molars begin to erupt, a soft bristled tooth brush can be introduced. The current ADA and AAPD guidelines recommend that fluoridated toothpaste can be used for this age group. Putting a baby to sleep with a bottle of milk, juice and/or nursing a baby to sleep can be harmful to the teeth. The normal mechanisms that help keep teeth clean during the day like salivary flow is much lower at night. The teeth are bathed in the sugar that provides a perfect environment for decay. Children who frequently continue to bottle or breast feed while napping, sleeping or in between meals, run the risk of developing extensive tooth decay. Fruit / citrus juices, and sweetened beverages cause the most damage. You can brush the baby’s teeth after the last feed at night with a soft bristled toothbrush and use a washcloth to wipe the teeth if your infant has multiple feeds at night. 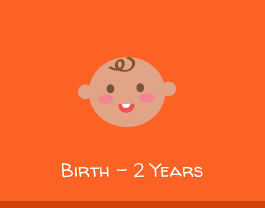 Sucking is a normal reflex for infants and is present even before birth. It helps infants self soothe. As they get older, the habit may be discontinued. In some toddlers, the habit persists. Every effort should be made to help your child break the habit by age 4 or 5. Prolonged thumb sucking or pacifier use can result in orthodontic changes such as a narrowed arch. As the adult front teeth begin to come in, if the habit persists, the teeth can be flared. 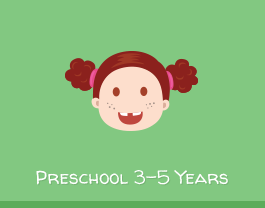 Dental emergencies are pretty common as toddlers become more mobile and active. Precautionary measures such as childproofing your home would be the first step. It is impossible to watch your toddler at all times though. Establishing a good dental home for your little one where he/she can be evaluated as quickly as possible is important. If the fall/trauma is more serious, call 911 or take your toddler to the ER for evaluation of more serious head/neck injuries.